The best discount card for the off-season! 3300 campsites in 20 countries! On our campsite you can, if you are a member from ASCI, get a place in the off-season for only € 16,00 per night. This for two adults with one camping equipment and includes electricity and shower but excludes tourist tax (€1,50 per person, per night). One dog is also included. 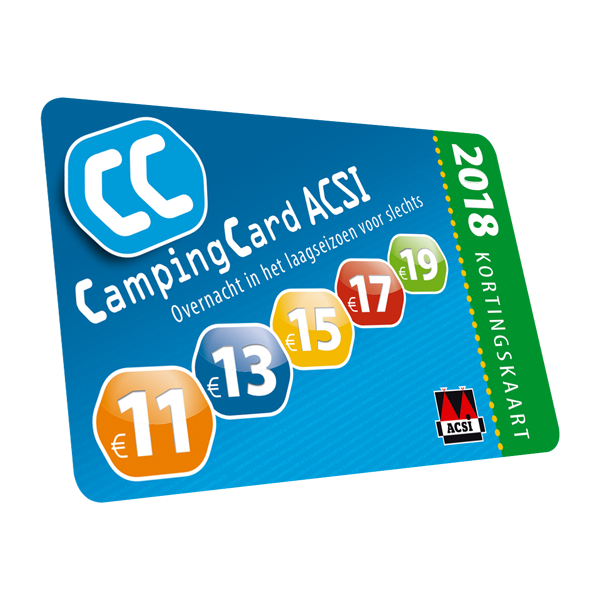 You have to show your ACSI CampingCard by arrival to get the discount.